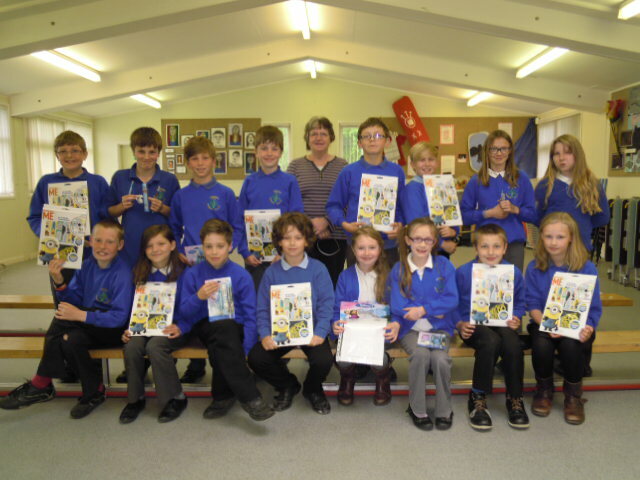 Leebotwood and Longnor asked Longnor Primary School to produce a new logo for their letter header and these are the children who sent in entries. The Parish Council looked at everyone one very carefully and chose the one by Beth Hunter. The Parish Council was so impressed with all the entries they decided to present each and every pupil that entered a prize. This is a photo of the prize giving presentation during the school assembly.